In a post from nearly two years ago (what?! I’ve been writing posts that long?—or rather: what?! you’ve been reading my posts that long? 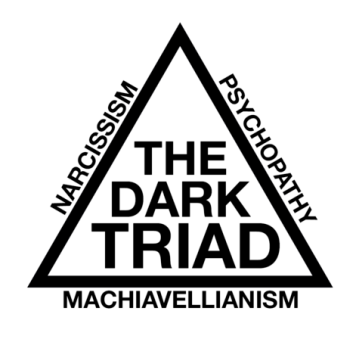 ), I discussed the Dark Triad, the three personality traits associated with antisocial behavior; that is, narcissism, Machiavellianism, and psychopathy. To briefly recap: narcissism is the grandiose perception that one deserves admiration; Machiavellianism is the belief that others are merely there to be manipulated for your advantage; and psychopathy is the chronic lack of guilt or remorse experienced by those incapable of empathy. So yeah, traits probably evident in a boss you’ve worked for at some point. And that there is the perfect lead in to the research I’m going to talk about today (gosh, it’s like I write this ahead of time or something). Previously, most research on the Dark Triad was not very flattering for their followers. For example, internet trolls (the people who leave comments online for no other purpose than to offend the person reading it) score much higher on scales like Machiavellianism and psychopathy. Because those with psychopathy experience a shallowness of emotions, they often antagonize others to restore the psychological stimulation they would otherwise lack (kind of like someone with bad taste buds has to put a lot of hot sauce on a meal to taste them). Furthermore, because people high in Machiavellianism view others simply as tools, together, these traits account for the countless jerks populating the YouTube comment boards (seriously, it’s like a gaggle of trolls on that site). However, the research for today—research published just a few days ago—posited: Surely there must be some positive aspects to scoring high on the Dark Triad, right? To answer this, the researchers gathered 793 full-time employees (~37.5 hours per week) from the private sector and had them fill out the Dark Triad personality test, aka, “The Dirty Dozen” (it’s 12 questions long). 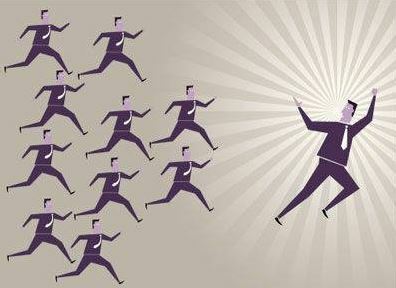 And after calculating people’s scores, the researchers compared their Dark Triad ratings to their salary, whether they were in a leadership position or not, and the extent to which they had subjective and objective career success. First off, high scores in psychopathy were negatively associated with all of the above outcome measures. That is, they had lower salaries, were less likely to be in leadership positions, and had overall, lower career success. And this makes sense. If you don’t have the emotional capacity to properly interact with people, it’s going to be difficult to advance to higher-paying, leadership positions. However, when it comes to the other two personality traits, the tables turn. Being narcissistic actually resulted in higher salaries; and being more like Machiavelli himself meant you more likely held a leadership position and were more satisfied with your career (probably because of you’re high-ranking job). With all this data, though, we must remember that correlation does not mean causation, and other factors could be accounting for these career differences (though, the researchers did do a good job to statistically “control” for alternative explanations). So where does that leave us? At face value, it sounds like we should all become a little jerkier to get ahead in the world; but, you have to ask yourself: do the ends really justify the means? For when your final bell tolls, all that’ll truly matter is the kind of life you lived. And whether it was one spent frequently sailing on yachts. Spurk, D., Keller, A. C., & Hirschi, A. (2015). Do Bad Guys Get Ahead or Fall Behind? Relationships of the Dark Triad of Personality With Objective and Subjective Career Success. Social Psychological and Personality Science.